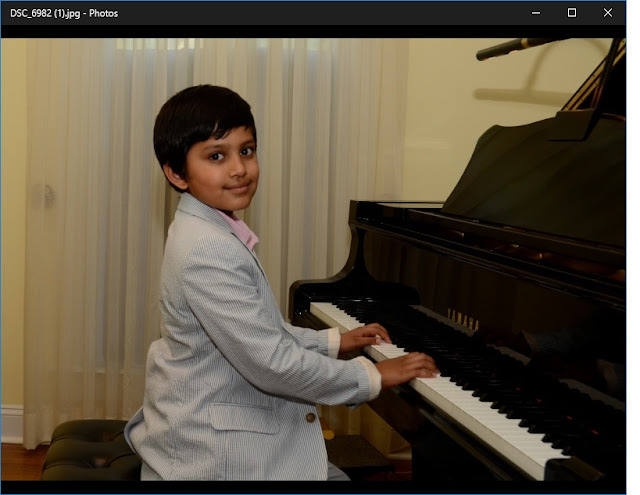 Aran Basu is an 11 year old elementary school student from Connecticut. He loves music and has been playing the piano for about 3 years. He is enrolled in the Manhattan School of Music's Precollege program and attends music school every Saturday in NYC. He also enjoys singing and is currently learning vocal classical Indian music. In addition to music, Aran has been part of a Karate school for many years which involves teaching young martial arts students weekly as a part of the school's leadership program. Aran also loves spending time with friends, traveling with his family, swimming, riding his bike and robotics.